Any website needs visibility in search engines. They have to be indexed and well ranked, to gain visibility and draw people’s attention. And for this, a website needs SEO. While the number of websites built on WordPress increases, the interest in tools for WordPress SEO and optimization is rising, too. SEO plugins are modules specially designed for WordPress, with the aim to improve the quality of websites’ content. Improvements of content quality concern both users’ experience with the website and meeting search engines standards. 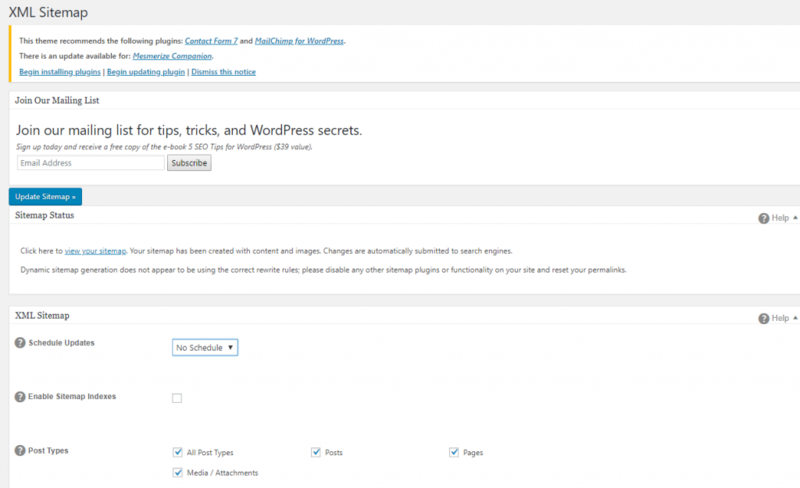 Can you do without SEO plugins? Obviously, SEO doesn’t mean just technical improvements and monitoring. The scope of a website optimization is much larger, from study of the niche and users’ behavior to tightly managing inbound traffic, engagement and leads/sales. However, plugins help taking a website’s SEO to the next level, and check content health in terms of optimal performance (easy to understand, relevant, optimal loading speed, etc.). Yoast SEO is the no. 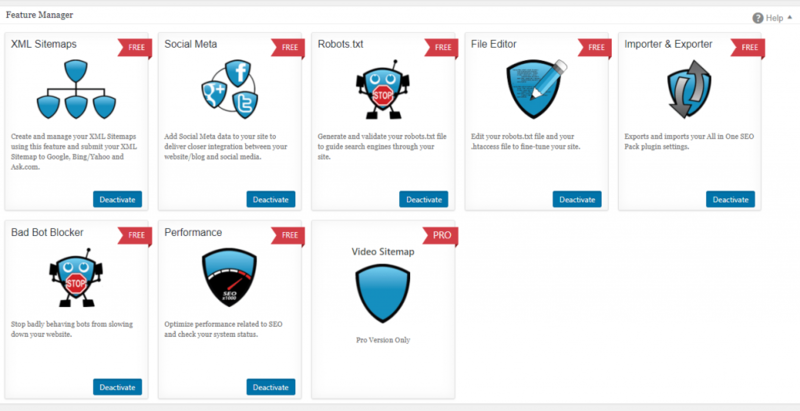 1 plugin for WordPress website optimization. It checks the content readability, and keywords density (for content relevance). It also takes into account semantic SEO, meaning related keywords, phrases and synonyms are submitted to the Yoast analysis. With Yoast, there’ll be no more duplicate content (especially useful for ecommerce websites). All in One SEO Pack comes second in terms of good WordPress SEO plugins. It provides site-wide and page-level optimizations, as a light version of Yoast SEO. It’s easy to configure, and its corresponding options come in an expanded list of settings for the website to be optimized. XML sitemaps are .xml files listing all the pages (URLs) you want search engines to index and position in the search results pages. With Yoast SEO and All in One SEO Pack, XML sitemaps are automatically generated. Each new post/page will be added to the list. Search engine bots, when crawling the XML sitemaps, will analyse all pages/posts in the website, new entries included. Also, you have the possibility to exclude some pages/posts you don’t want to appear in the sitemap. 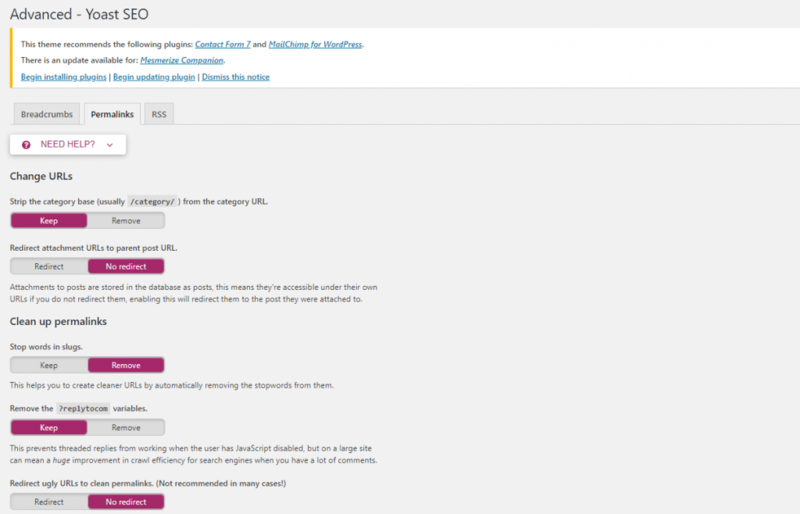 These plugins provide a functionality for excluding posts/pages from search engines indexation. They will thus not be taken into account for the sitemap listing. With All in One SEO Pack, you have more control over the XML Sitemap configuration. You can choose what content types will be added to the sitemap, create a compressed sitemap, and enable the option to dynamically generate a sitemap or schedule updates for the sitemap (in accordance with the frequency of publishing new content). 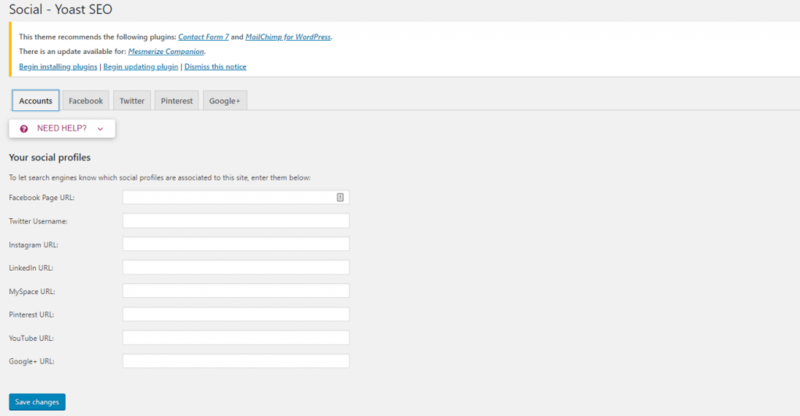 Integration with Google Search Console. Yoast SEO allows for easy integration with the Google Search Console account. Thus, the website owner has direct access to Google Search Console Data, keywords performance and click-through rates for each page/post in the website. All you have to make is enter the Google Authorization Code and press the Authenticate button. Yoast SEO might signal correlation between the website and the social profiles associated to it (Facebook, Twitter, Instagram, YouTube, Pinterest, LinkedIn, etc.). 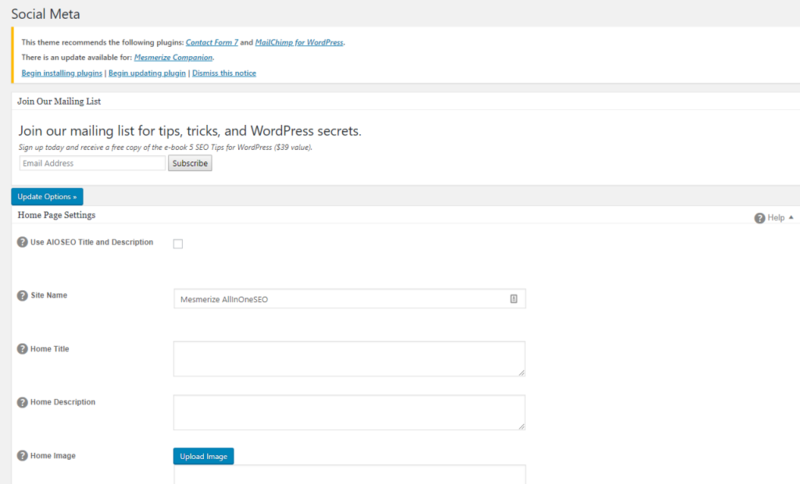 The plugin allows for adding Open Graph meta data (for Facebook), and Twitter Card meta data (for Twitter). These control how the posts will be displayed on social networks, upon sharing. With All in One SEO Pack, you have the possibility to configure social meta (settings for the homepage, settings for the image as it will display upon social sharing), provide social media links associated with the website. Enable automatic generation of page descriptions, etc. A readability analysis – it checks how easy it is for users to read and understand what the page is about. At the end of the analysis, the plugin offers a readability score, with suggestions for what improvements should be done. A keyword analysis – it checks how many occurrences for the targeted keyword are in the page. The plugin calculates the optimal density of keywords, while considering the page is not keywords-stuffed. Likewise, at the end of the analysis, the plugin offers a SEO score, with recommendations to improve the relevance of the page, based on keywords. Note: if you set a page/post as cornerstone content, Yoast SEO will consider this into its analysis and that page will receive in-depth SEO analysis. Title optimization, with characters count and unique phrases. Description optimization, with characters count and unique text. Settings for: NOINDEX (if you want the page not to be indexed in search engines), NOFOLLOW (if you want the link of the page not to be followed by search engine bots), EXCLUDE from sitemap. RSS feed (this feature is used to automatically add content to the RSS feed, while search engines will identify you as the original source of content – links that have been added to the feed). Generating and validating a robots.txt file to guide search engines through the site. Here, you can specify which portions of content have to be excluded from indexing. The above comparison shows that Yoast SEO is the winner. It provides more granular SEO analysis, with a focus on two major SEO factors: content readability and ease of understanding, on the one hand, and relevance to the topic, on the other hand. 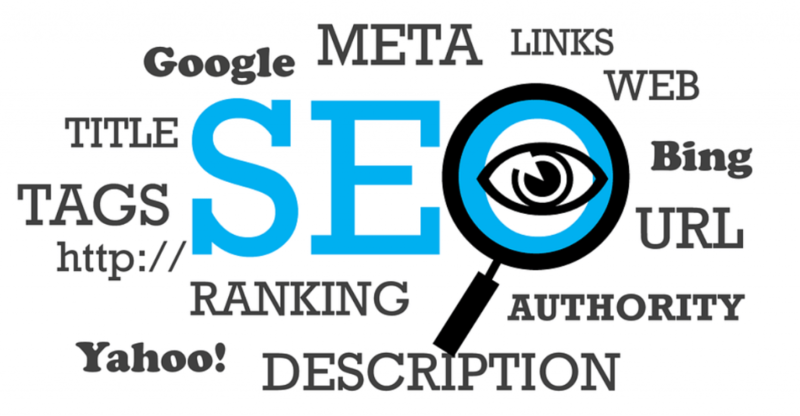 However, for SEO novices, All in One SEO Pack will do, with an overview of the content quality and options to control content optimization site-wide.